I have an account with Virgin Mobile which uses the Sprint network. I called Virgin Mobile and received a 9-digit account number. Together with my 6-digit pin number I thought I was ready to transfer my phone no. However, I receive the message that my account does not have an existing phone no. I contacted FreedomPop and 'Emilio' gave me a machine-created, standardized answer that did not help me in this case. This is a picture of the message I received. Can someone help me to transfer my phone no to FreedomPop? I already have a phone number. I also followed all the steps mentioned in the link you posted. However, I always get the message from FreedomPop that my account does not have an existing phone number which is irritating. Do you have any specific advice what I should do? Hey Myoung - any resolution to this problem? I'm in the same boat! Thanks! hii... Is there any problem with BYOD system? I was checking the availablity of BYOD on a Sprint LG phone. I entered a zip code with my mail id but an error occured saying,"Invalid Zip Code". 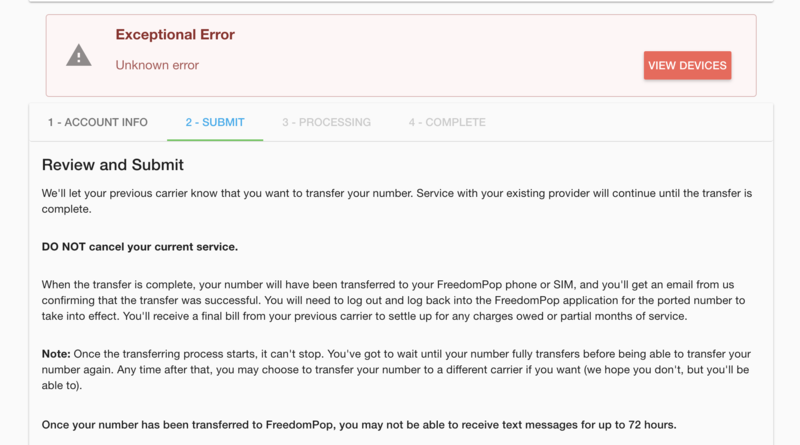 I noticed that the freedompop webpage reroutes and checks the zip code and thus it gives an error. Please help me fix this problem. Hi! We can help you check on the zip code to check on coverage for you area as well as the device's compatibility with the BYOD program. Please provide us with your zip code and the device's MEID number. 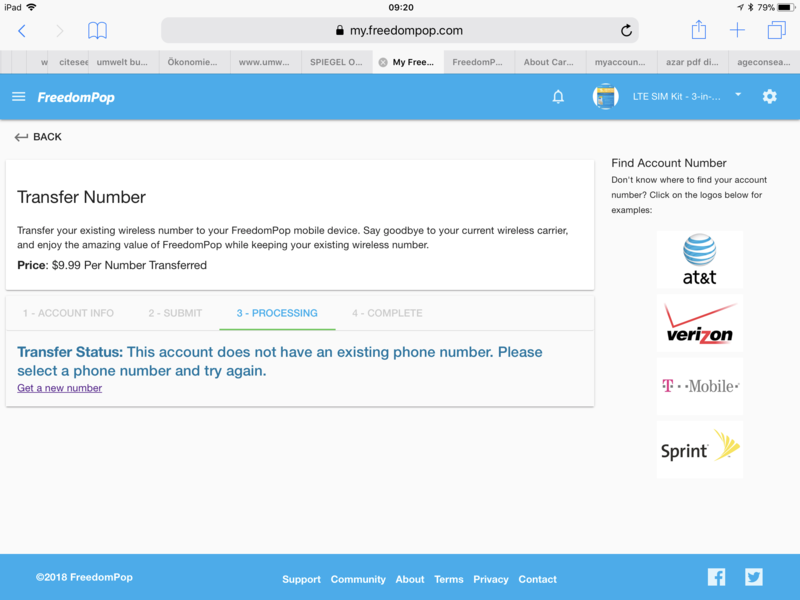 I want to transfer my phone number to freedompop. but in the third step, i get this error.